Frugal Mom and Wife: Target Room Essentials Large Bath Towel ONLY 75¢ After Coupon! ENDS TONIGHT! 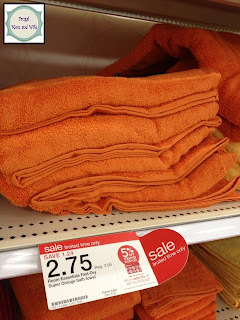 Target Room Essentials Large Bath Towel ONLY 75¢ After Coupon! ENDS TONIGHT! What? What? A Large Bath Towel from Target for ONLY 75¢? Target carries their Room Essentials Lg Towels starting at $2.75 (SALE thru 7/27). - $2.00/1 Bath Towel Target Mobile Coupon. = ONLY 75¢ After Coupon!